Shelves are great, but inflexible. There's not much room for creativity: your only real choice when it comes to shelves is which one to put your crap on. This simple but beautiful shelf attempts to correct that limitation. 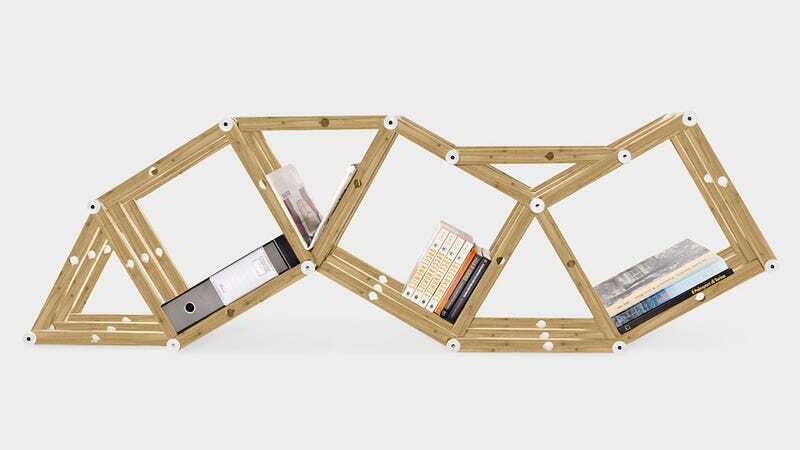 Designed by Andrew Gancikov and John Fitzpatrick, the shelf is held together by Erector Set-esque pegs, giving you the freedom to customize aspects that most shelves have predetermined for them, like angle, or size of cubby. One set is $350, but you can combine two or more if you have excessive shelving needs.